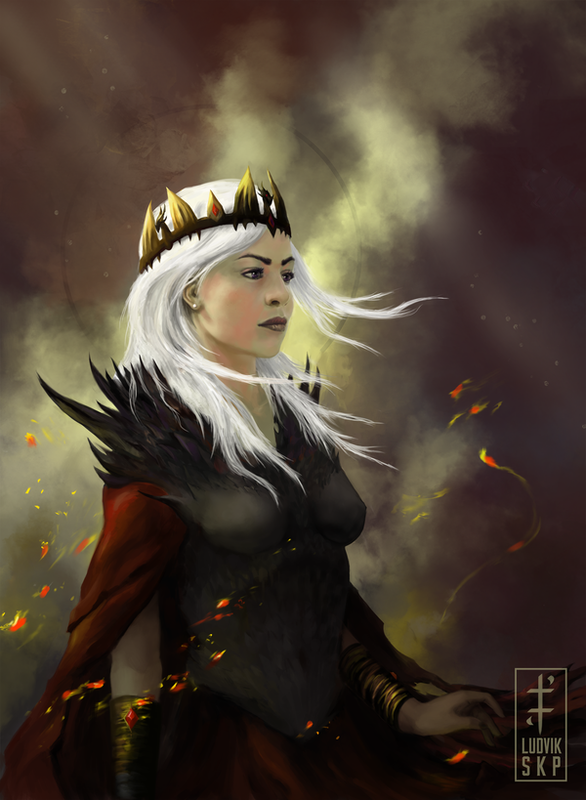 My latest piece, "Fire and Blood", this is Daenerys Targaryen from A Song of Ice and Fire by George RR Martin. It's kind of based on the book, but what it really is is a possible future for Dany, where she becomes the Queen but she's cruel and merciless. It's inspired by "The Princess and the Queen" Novella. I hope you like it.